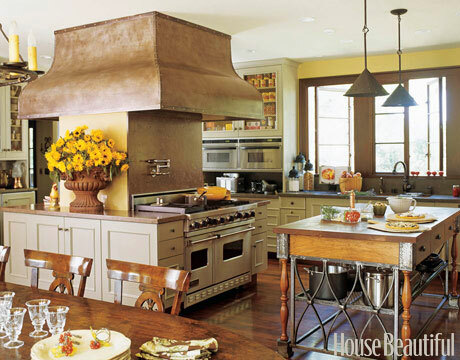 House Beautiful recently asked their reader’s what their favorite color in each room is and they posted their findings in their September issue. 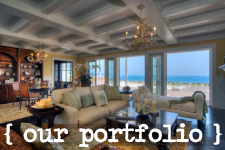 Many of the color choices that are the favorites aren’t too surprising. One we weren’t necessarily shocked about, but surprised it beat out the competition was in the kitchen. 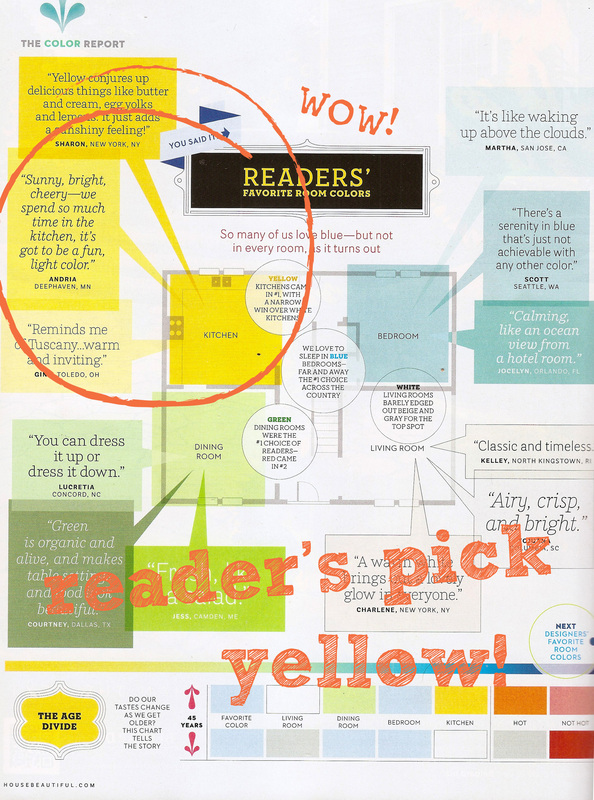 Reader’s choice was yellow with white right behind it. 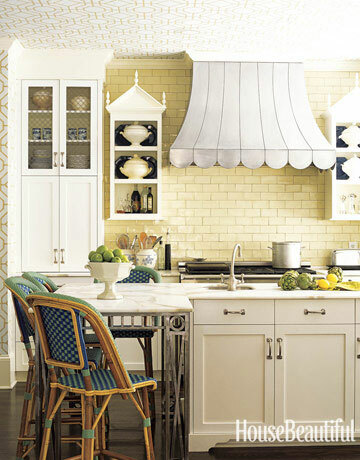 We of course coming from our coastal roots won’t be the first to put yellow into the kitchen, but have nothing against it. 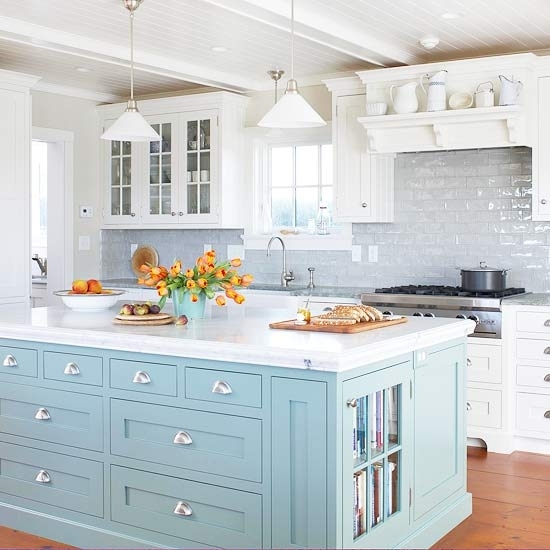 We like yellow and support it, but of course we have to go with our whites and blues in the kitchen. No offense yellow, it’s a coastal thing. 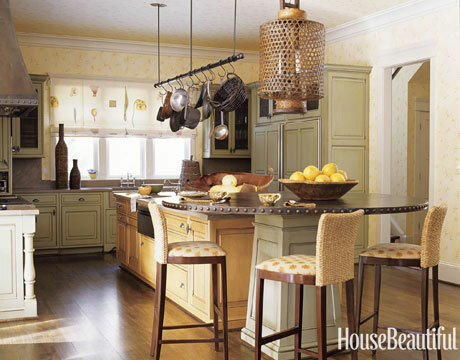 We’ve got some pictures form House Beautiful of some of their favorite yellow kitchens for you. 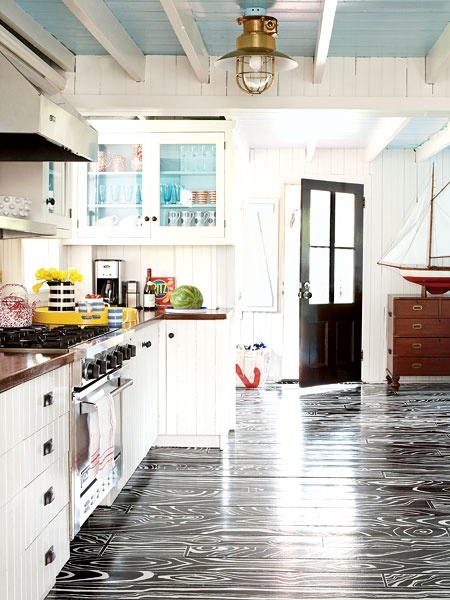 Of course we couldn’t leave out some of our favorite white kitchens so we’ve got some of those for you too. Enjoy! 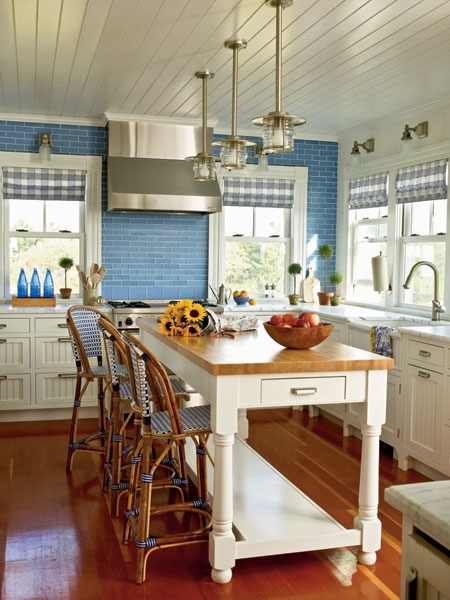 The House Beautiful pictures are very nice, but like you I prefer blues in my kitchen. Actually I have always had blue in someway in just about every space in my home. The only time I am temped to use yellows is during the long winters when I get depressed with so little sunlight. But I know that will pass. We agree with you! We love blues throughout our homes and it’s definitely present in every space. Fortunately for us, in California, we don’t have long winters! 😀 You should just come out here during the winter to beat it! I moved to LA once in the early 80s and hated it, I’m a small town girl and don’t fit there. Although I did enjoy a visit to Moro Bay area when younger. I do miss the longer days in the winter months, I would be okay with the cold if it wasn’t so dark most of the time.